Most people living in southwestern Pennsylvania have noticed the emergence of new and unfamiliar activities in recent years. We have seen equipment and workers moving throughout our communities, perhaps heard or read stories regarding their arrival, and may even have had some direct involvement with this new endeavor. We are of course referring to the Marcellus Shale/Gas Industry. 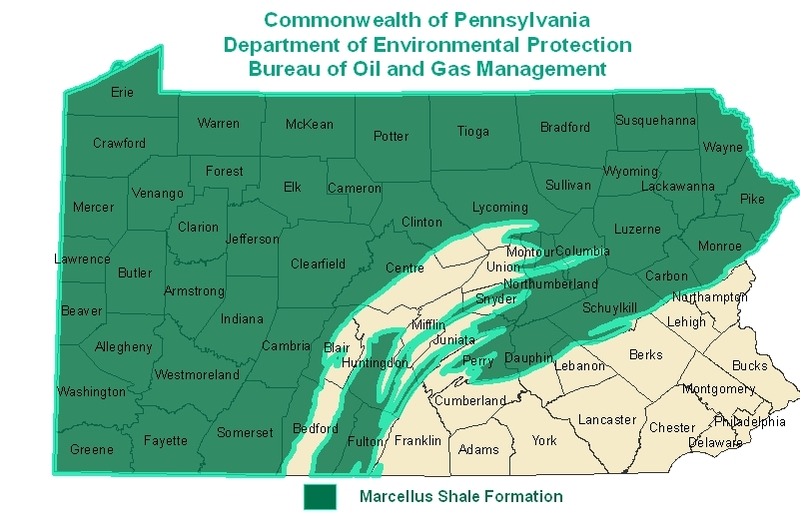 What is Marcellus Shale and how does it impact individuals, families, and communities? How does this new industry impact the economic forecast for Central Westmoreland county? These are some of the questions that we address in this section of our website. As a provider of Workforce Education and Development, CWCTC has begun the process of linking opportunities for our stakeholders to this new and exciting wave of prosperity. Situated thousands of feet below the earth's surface throughout most of our state is a mineral formation known as the Marcellus Shale. Iimproved drilling and production technologies have unlocked large reserves of oil and natural gas contained in the Marcellus Shale. These natural energy sources were once thought to be inaccessible to produce. Because of recent advances in drilling technologies, companies now drill miles into the earth and then drill horizontally several thousand feet, directly through the “sweet spot” of the Marcellus Shale formations. Directional drilling with hydraulic fracturing has unlocked reserves large enough that if fully developed can satisfy some of the U.S. energy demands for decades, and possibly centuries to come. Though concerns regarding the environmental impact exists, this is good economic news for the state of Pennsylvania and Westmoreland County.